The stylish Grey Wicker Moses Basket from 4baby has been adorned in soft cotton waffle fabric. Crisp and fresh, it provides the perfect place to house your new arrival. Made with a top quality wicker construction, the moses basket is both safe and sturdy and comes with beautiful leather handles, making light work of transporting it from room to room. 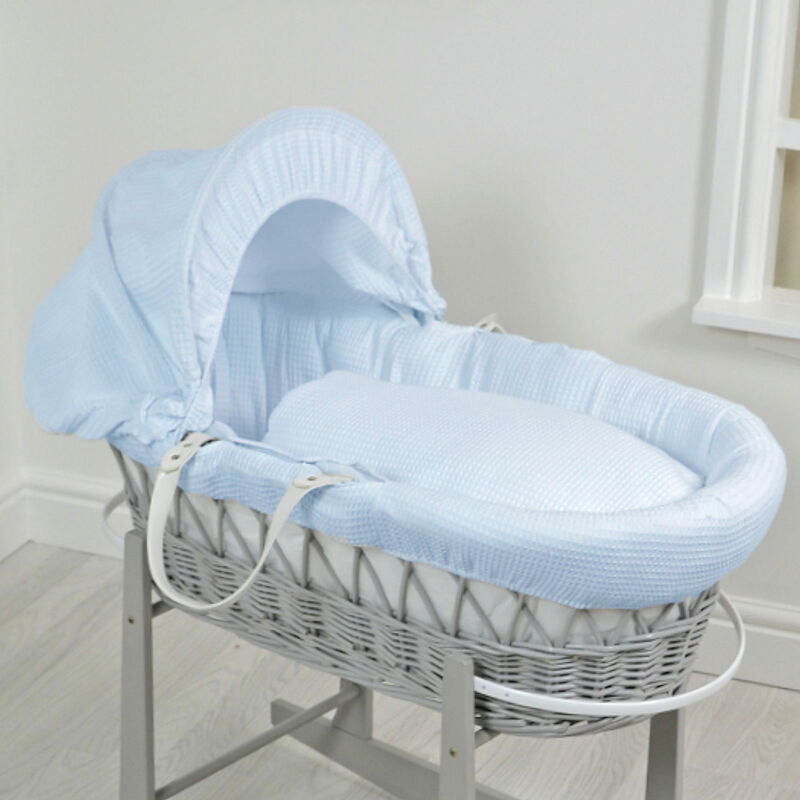 Complete with safety mattress, co-ordinating hood, quilt and a padded liner for increased comfort, the wicker moses basket has a timeless design and radiates a captivating graceful elegance.